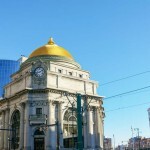 There are times when I don’t want to carry a big bag on my shoulder during my travels. Times when I feel like I have a big target on my back when I’m walking down a street in a foreign city. 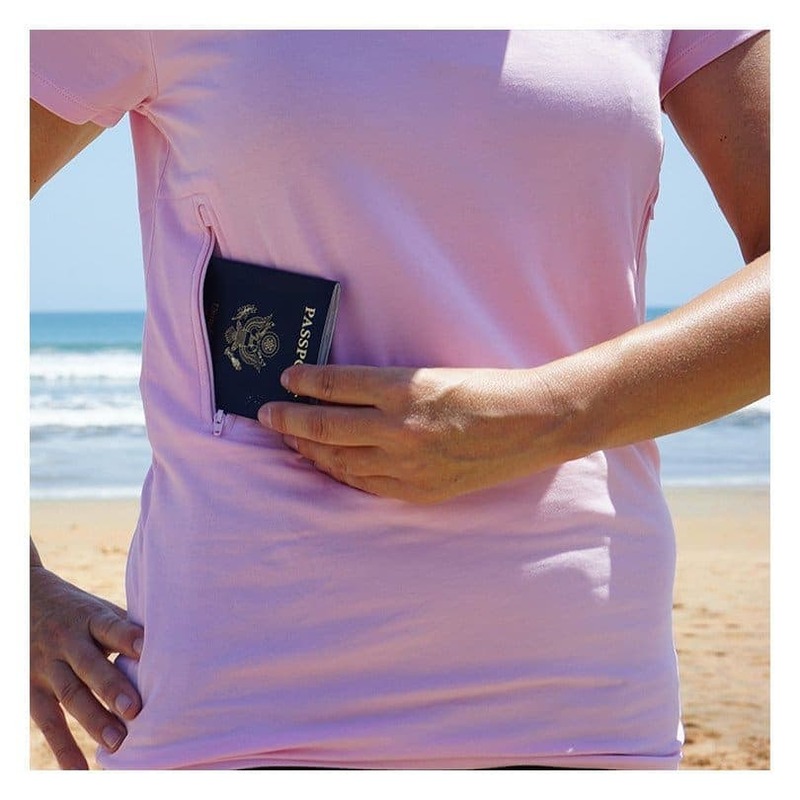 So when I was told I should start investing in pickpocket proof travel clothing I was sceptical. I envisioned cargo type pants and other ugly travel clothing. 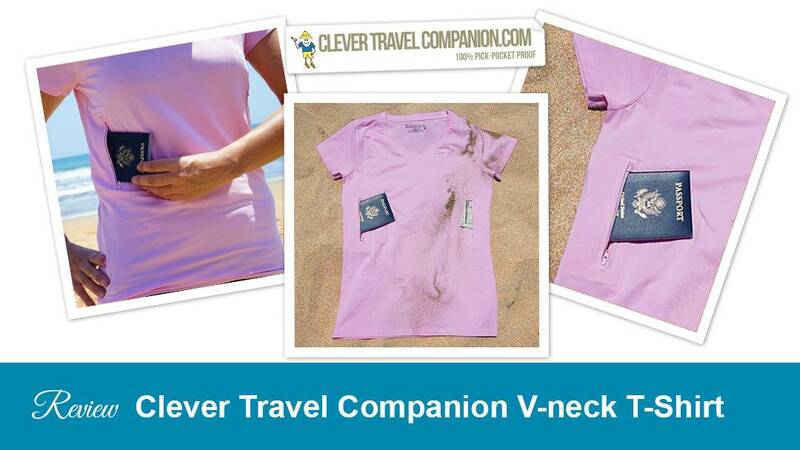 Then I was introduced to the Clever Travel Companion clothing company. The funny thing about this company is they first started with men and women’s travel underwear. 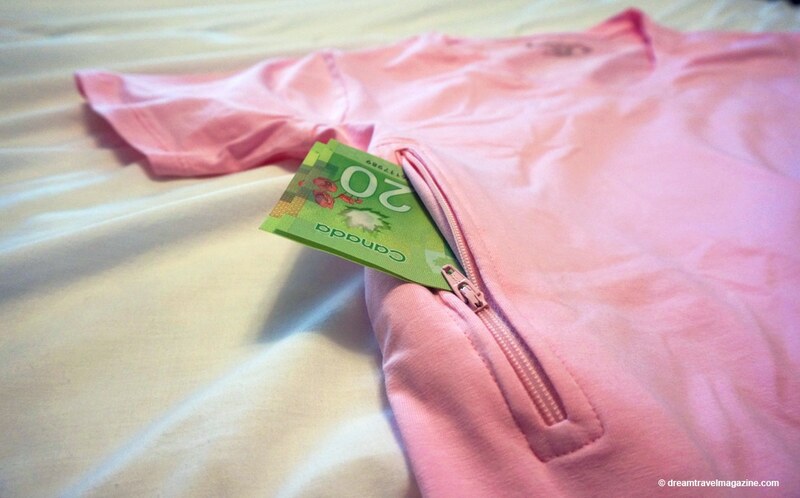 Not just any underwear, but underwear with pockets. 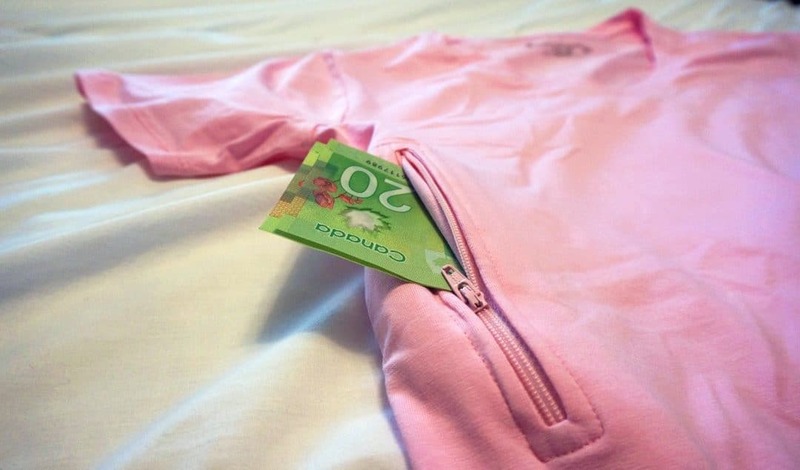 These pockets were big enough to stash cash, credit cards and even a passport. They have moved on now to other travel clothing. 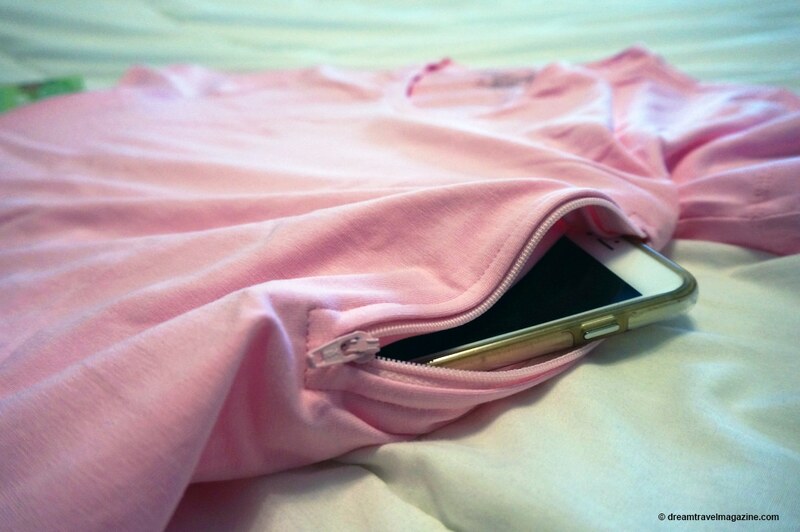 I recently tested out this pink v-neck t-shirt which has two hidden side pockets. 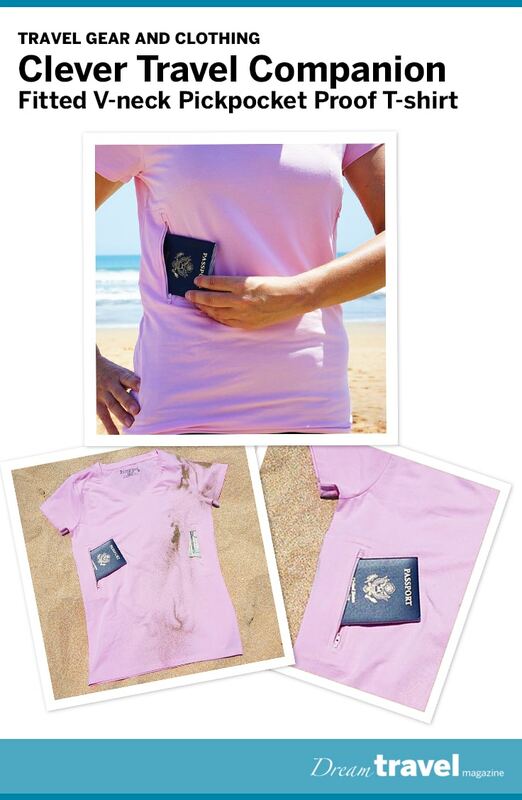 The Clever Travel Companion t-shirt is made of 5% cotton, 5% spandex and as a result is super soft and comfortable. The pockets have a metal zip pull but the zipper’s themselves are plastic so they don’t set off metal detectors. 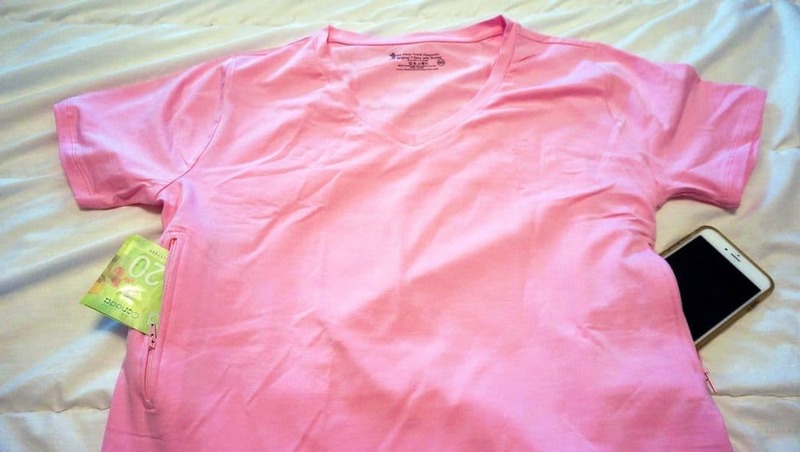 Note on Sizing: This t-shirt is a fitted T-shirt and I noticed on their website some people mentioned the fit was very small. 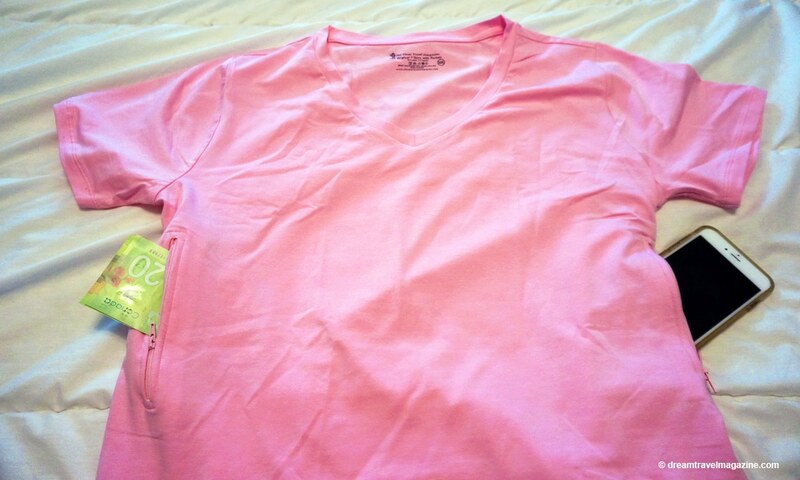 I ordered a 3X t-shirt when i normally wear L or XL because I wanted a loose-fitting t-shirt. It is still fitted. The larger sizes are longer if you like a long t-shirt but they are still tighter in width. The material is very comfortable and lightweight. The spandex makes it stretchy too. I love wearing this t-shirt not only when I travel but when I go outside to exercise. Since my phone fits in the pockets I can take a few pieces of ID, some cash and my phone and head outside. Pin me to your favourite clothing board! 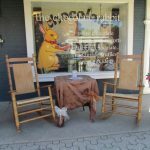 I was not financially compensated for this post. 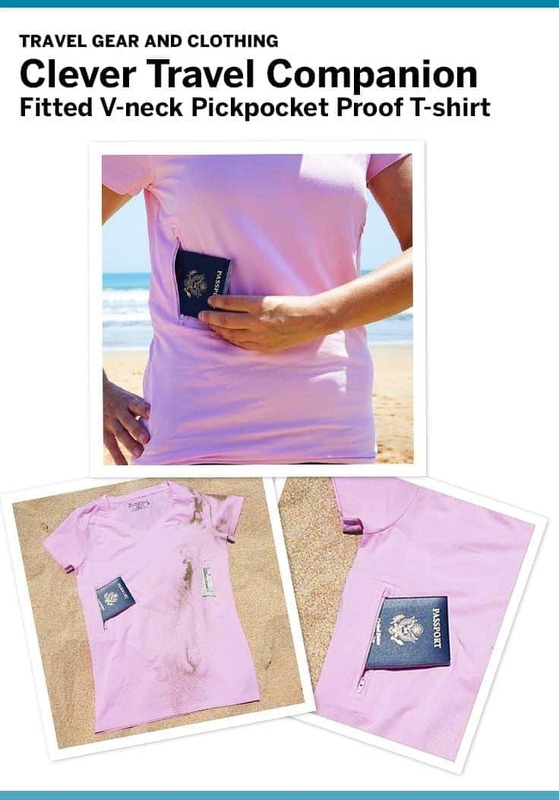 I received a sample t-shirt from Clever Travel Corporation for review purposes only. The opinions are completely my own based on my experience.